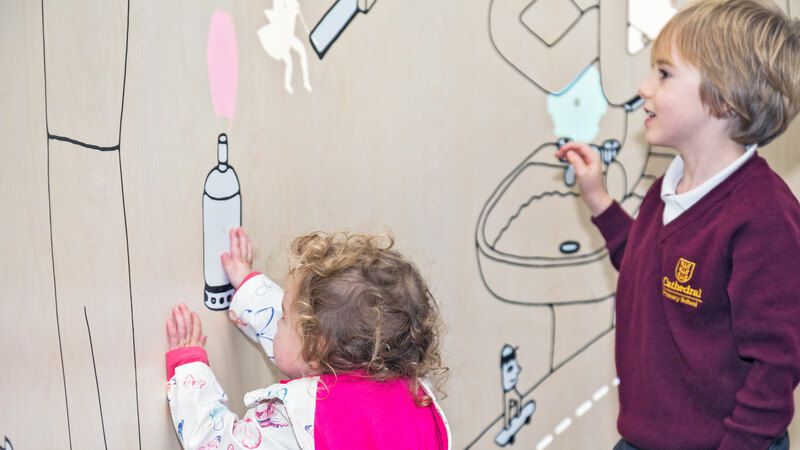 Dalziel & Pow designed an engaging interactive installation for At-Bristol Science Centre, as part of the educational charity’s major relaunch as ‘We The Curious’. 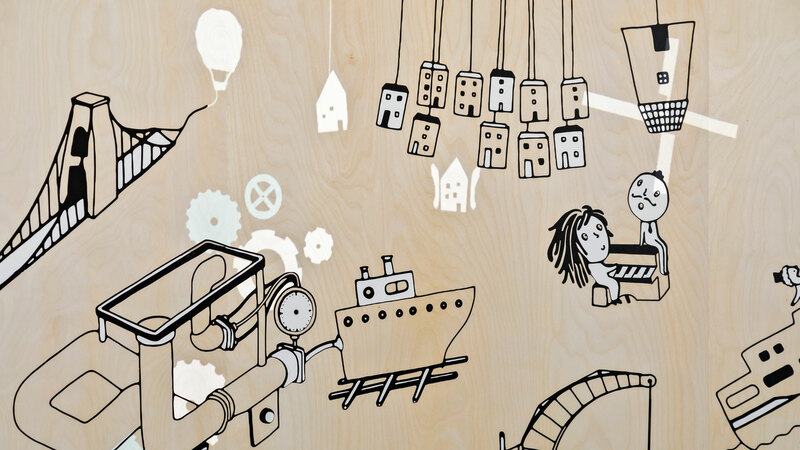 Live illustrations draw visitors in; bicycle wheels and cogs begin to spin, a hot-air balloon takes flight (representing the Bristol International Balloon Fiesta). When visitors approach and inquisitively press a touch point, a motion springs into action and tells the story of that landmark. The stories are informative but not too literal and told from a Bristolian perspective – with voices supplied by staff, volunteers and visitors to We The Curious. The accompanying animations are abstracted and humorous. The storytelling ranges from one-action animations and stories, others encourage further interaction – to add an extra element of exploration and fun – secret touchpoints across the installation trigger hidden animations. A live science team member is also on-hand to suggest ways of expanding on a topic and continuing the journey. To maximise engagement and impact, we created short, simple animations of no more than 10 seconds long.Like a smartphone touchscreen, the wall makes use of capacitive sensing. Copper concealed behind the touch surface detects the change in capacitance as users move their hands. 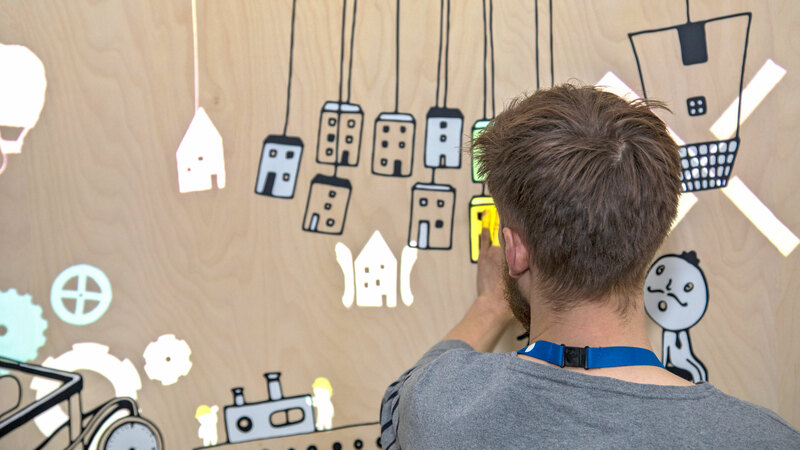 The animations are projected onto the touch surface, augmenting the illustrations for contextual storytelling. 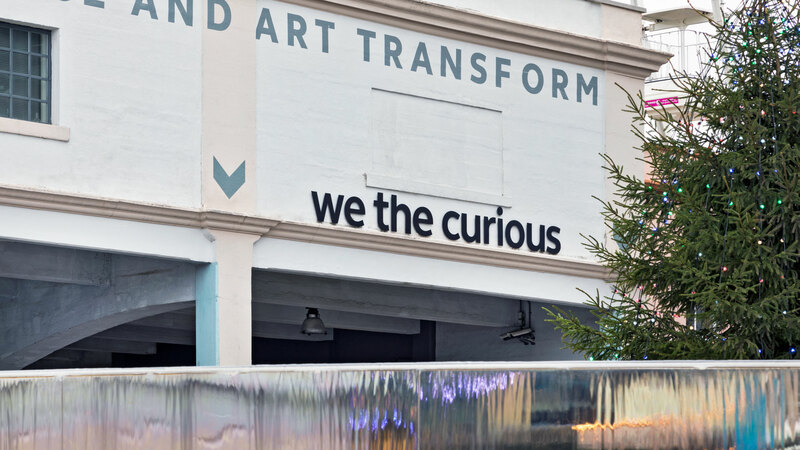 The new installation fits with We The Curious’ manifesto pledges to create a curious, open, collaborative and playful experience and will act as a springboard for the following redevelopment of the entire ground floor over the next few years. It will be a creative, multi-disciplinary space and movement, where science and culture collide and collaborate.